Movies began during the Victorian age. Through even the earliest years of filmmaking, Victorian literature provided a ready stock of familiar stories about colorful characters caught up in mystery, fantasy, adventure, sensation, and domestic conflict. Among the earliest films are adaptations of works by Victorian writers like Charles Dickens, Lewis Carroll, Thomas Hardy, and even Alfred, Lord Tennyson. Starting with Soviet filmmaker Sergei Eisenstein’s 1946 essay on “Dickens, Griffith, and the Film Today,” theorists have been interested in the interrelationship between Victorian literature and films. Nineteenth-century British literature has continued to provide stock in trade for the filmmaker and television producer throughout the twentieth century, and even into the twenty-first. Since the 1970s, when easy access to films on videotape enabled private and repeated viewing, scholarship about the adaptation of Victorian literature into feature films and television series has developed unabated. The recent surge of literature and film courses and the increased use of film within the classroom has led to the need for studies on adaptation and approaches suitable for the twenty-first century. With the proliferation of volumes on adaptation, work is needed that provides theoretical and practical approaches for those who think about literature together with film adaptations whether as scholarship, part of classroom study, or general enjoyment. The current collection of adaptation criticism, Victorian Literature and Film Adaptation, builds on major film theory and also on critical and theoretical work specifically about Victorian film and television adaptations, such as The English Novel and the Movies (1981), edited by Michael Klein and Gillian Parker, and Victorian Afterlife (2000), edited by John Kucich and Dianne Sadoff. The collection is organized to be useful, particularly for the professor in the literature or film studies classroom and for the generalist seeking to expand his or her own thoughts. It is informed by the postmodern insight that human history is a series of moments which reflect continually shifting values and perceptions. Literary and film history reflect these myriad shifts, as do critical responses to films. Moreover, as contributors to this volume insist, critical responses to film adaptations of literature serve to magnify the contingency of meaning in both the movies and their source texts. This volume also recognizes the popularity of nineteenth-century British literature with adaptors who have appreciated the value of the original works while repackaging their classic themes for contemporary audiences. This collection includes discussion of works by authors such as Jane Austen, Charles Dickens, Anthony Trollope, Robert Louis Stevenson, Bram Stoker, and Sir Arthur Conan Doyle, as well as adaptations by such diverse and masterful directors as Ernst Lubitsch, Stanley Kubrick, Atom Egoyan, and Francis Ford Coppola. 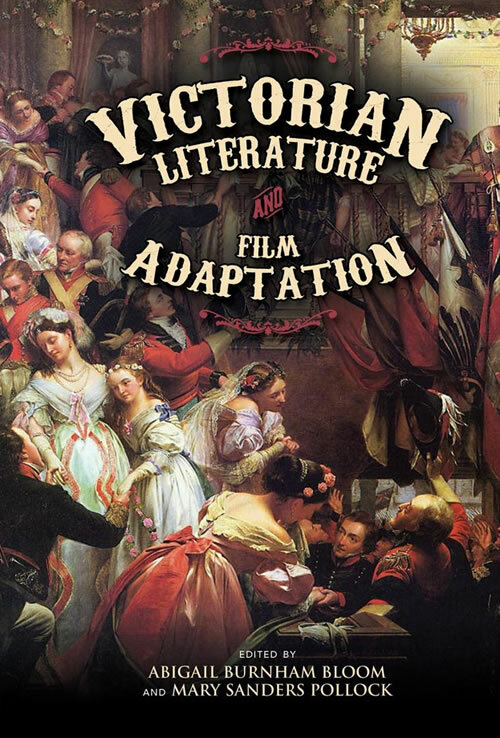 By bringing together many different approaches to the topic of adaptation, this book provides an important overview of the subject of the adaptation of nineteenth-century British literature, as well as an examination of the constructive and creative use of film adaptations in the classroom. Although a wide range of critical approaches are included, the primary emphasis is on what specific adaptations reveal about the ways in which nineteenth-century British texts are understood, responded to, and analyzed based on particular cultural contexts. This book provides a basis for rethinking adaptation and a template for future discussions and academic courses. They orient the reader within a popular field of study that is currently in need of both greater focus and of practical direction. Victorian Literature and Film Adaptation is an important book for all who are interested in Victorian literature, film, and the process and meaning of the adaptation of literature into film. It will be a valuable resource for researchers, educators in both literature and film studies, adaptors, and general readers with an interest in adaptation.